One of the most popular decoration techniques is the decoration with crystal stones. 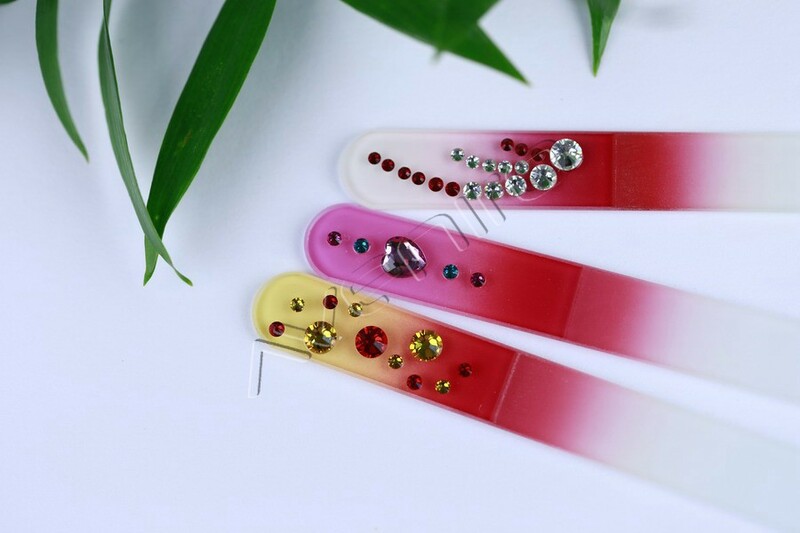 Crystal stones are fixed on the glass nail file with glue. Every single nail file is hand processed. This decoration requires accuracy and diligence, crystal stones are therefore applied only by particularly trained workers. 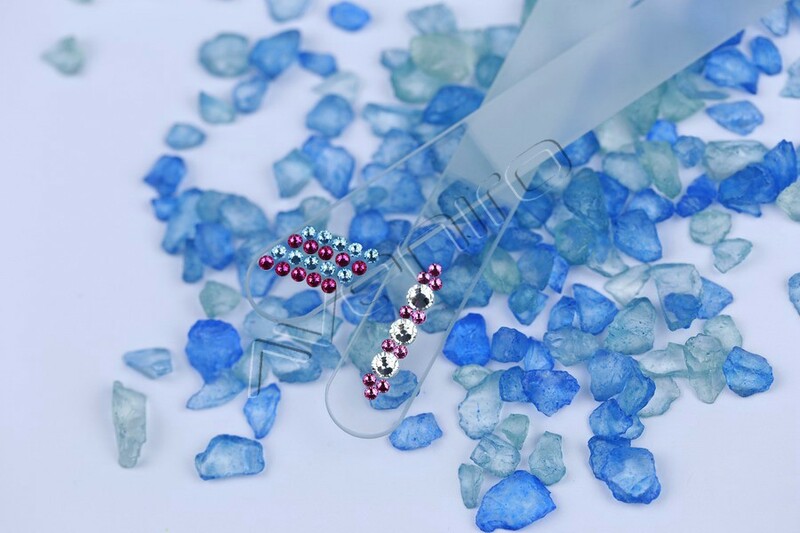 Crystal stones look very beautiful especially in combination with colour. 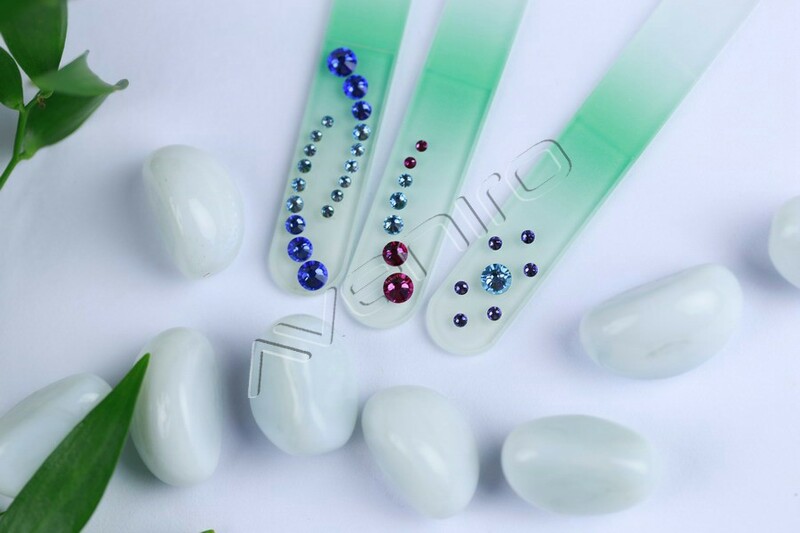 This combination of techniques will transform a glass nail file into a highly elegant cosmetic accessory. 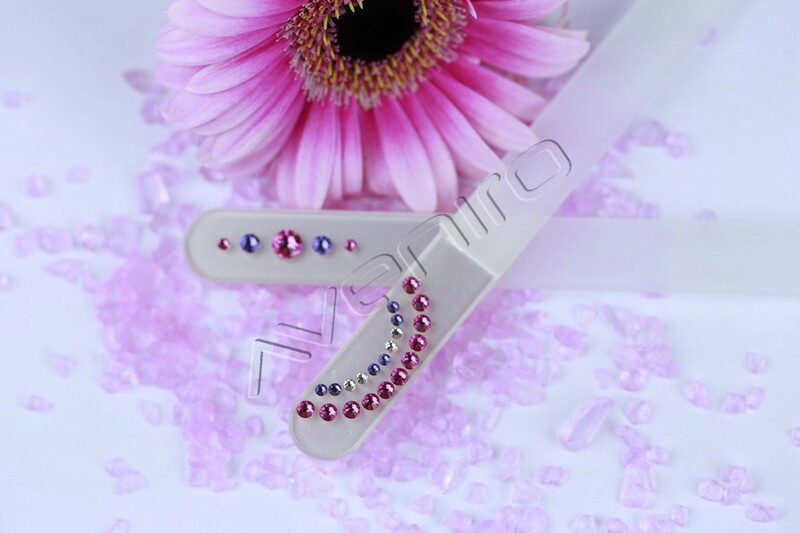 Glass nail file Swarovski is decorated with original Swarovski stones. We also offer all designs in a cheaper variant – with crystal stones produced by Czech jewellery manufacturers having long tradition. Beside standard designs we produce customized designs according to customer’s wish too.